Ed Removals - Removals/Storage based in London, Greater London. As well as providing you with the necessary packing materials, we also offer a full packing service consists of us arriving at the location and packing everything for you. removals london, london removals. Moving people from their current house into their new home is our speciality. We take every step to ensure that your move goes smoothly and that you know your belongings are in good hands. 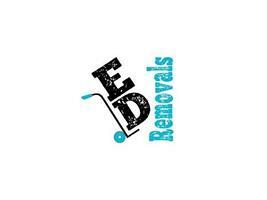 Ed Removals is a London-based removals company with a great wealth of experience in the industry. We take immense pride in our commitment to offer swift and efficient removals at affordable prices. Whether you are moving home or relocating your office, we will get the job done in no time. To us, no job is too big or too small. Our company vehicles are well-equipped to move all kinds of household and commercial items and our courteous drivers will safely transport your items with utmost care.